I always used to pass through Gaushala-Old Baneswor lane. Each time I passed by this lane, I would see those well-designed, painstakingly handcrafted walls and windows and fascinating brick buildings. The architectural designs speak of Nepal’s rich cultural Newari heritage and the splendors of the Malla period. 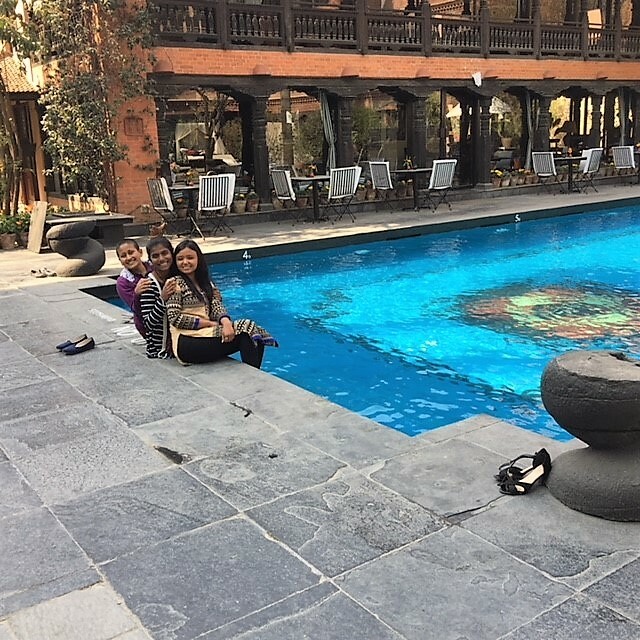 All that makes this particular hotel in Kathmandu, the Dwarika’s, much more beautiful. Though I admired this building each time I passed by, it never occurred to me that I would one day visit it. It was something I watched and enjoyed from afar but never dreamt to go – that was for celebrities, I thought. We celebrated International Women’s Day and 14th Anniversary of the Bo M. Karlsson Foundation on 8th March, 2018. I was so overwhelmed and excited to meet our founder, Sonnia Karlsson, and board member, Shannan Chapman, in person. 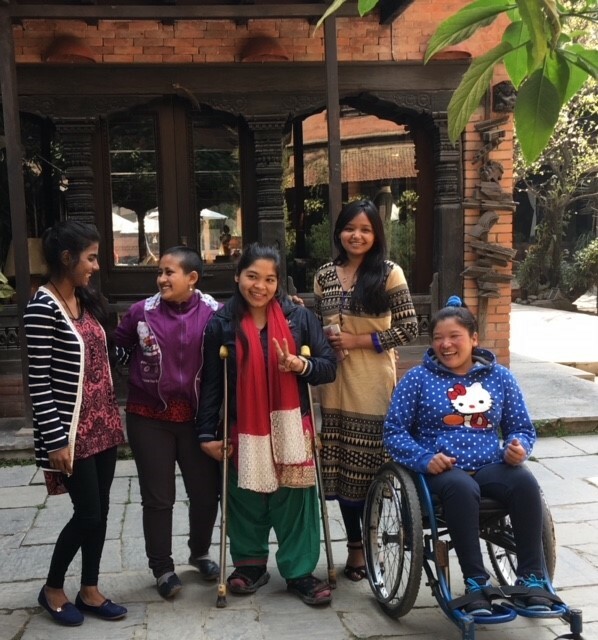 I came to know that five of us, including past and current scholars, along with office manager Rama didi, Sonnia Auntie, and Shannan were going to have a lunch meeting and photo shoot on 9th March, at the Dwarika’s. Yes!! I was to visit Dwarika’s after all! I was so excited and happy to ride along this lane that day. I would have reached the hotel on time, but I could not find parking. I had to go back and forth twice until I found a space. I entered Dwarika’s premises 15 minutes late than what was planned. I was amazed thoroughly from what I saw inside. Dwarika’s was even more beautiful that what I had imagined, meticulously clean and splendorous. The courtyard was abundant with plants and flowers and the old Newari craftmanship which surrounded us everywhere was truly gorgeous. When I reached the table where everyone was sitting, then and there, connections, warmth, love, care, concern, in one lovely hug from our motherly Sonnia Auntie brought me back from my dreamland to the people surrounding me. I sat there listening to stories and thoughts of fellow scholars as Shannan interviewed every one of us. 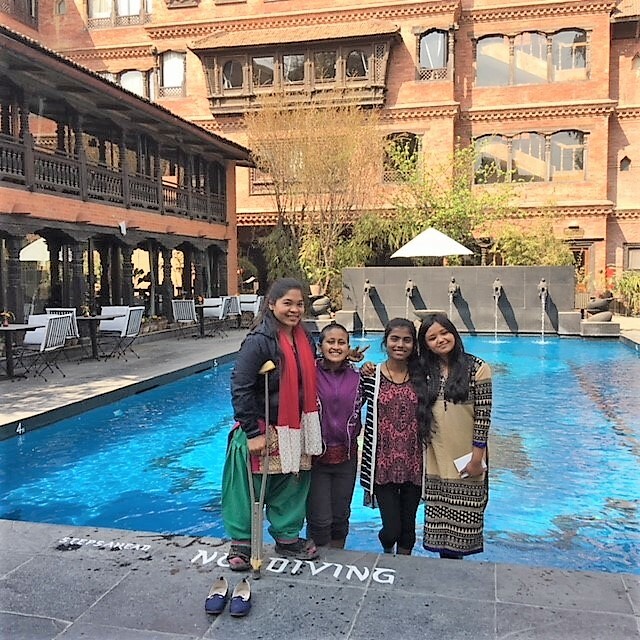 We clicked pictures, had delicious cuisines, went by the swimming pool, walked here and there, clicked more pictures, and most importantly had good and meaningful conversations. Connecting with each other, listening, opening ourselves up and getting to understand each other better, all of that was the most memorable part of day. For me, this meeting was more of observing, analyzing and implementing good traits. I could learn how sweet Shannan was to bring us treats, how thoughtful of Sonnia Auntie to bring our photos from last year’s photoshoot with a group of professional photographers as BMKF greeting cards with such good edits and graphics. Rama didi (BMKF alumna, 2015) is always so kind, caring and never tired of smiling as she pays attention to every small detail. How beautiful it was to know a newer aspect of the life of our own talented Susmina (Geometics Engineering ‘20). 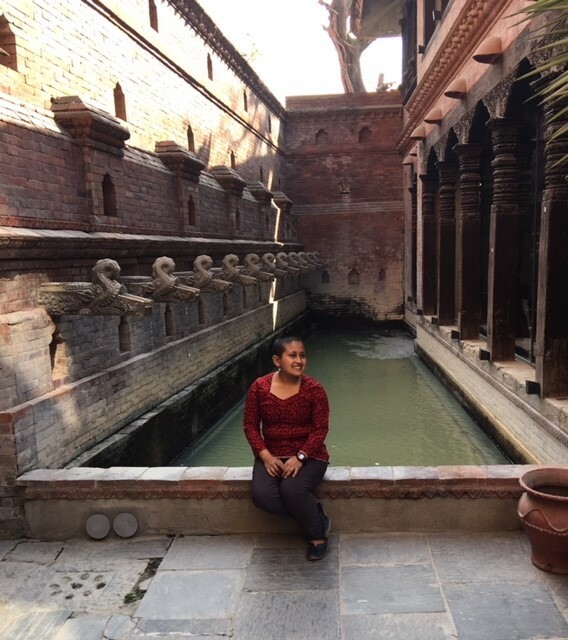 It is enthralling to see Pooja’s (Nursing ‘19) passion to become a successful nurse and to follow her dream to the very end despite where she comes from. It was so beautiful to see Shanta (Business ‘19) try her best to learn new things. 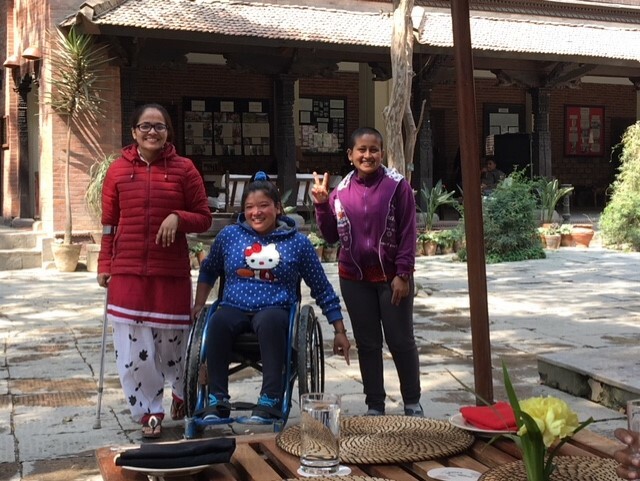 Yami (Business ‘15) is a real fighter, a hero indeed — I was so proud and impressed to meet a national wheelchair basketball player! She does not want to be known as differently able but as normal as other people around her. She owns her life and that’s best. Amongst all of us there, Sonnia Auntie was the main protagonist. She is just amazing. I fall short of words addressing her. She is one of those kindest of souls I have met. It is so mesmerizing to see a person remember so many details about her scholar students, be it past or current. Each BMKF alumnae and current scholars are daughters to her. Like a mother, she loves, cares, scolds, teaches us and is really concerned for betterment of each of our lives. 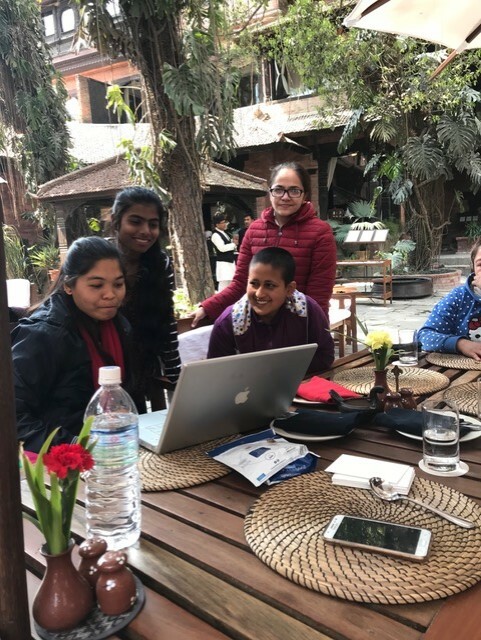 A person so far from Nepal and yet for the past 14 years, she has constantly been giving her all to make sure girls in Nepal get their higher studies. She is an example of a dedicated personality and successful figure. If only my often-said ‘THANK YOU’ words would be enough to express how grateful each of us are to her and the amazing BMKF team. Every person working alongside Sonnia Auntie has such kind heart and thirst to make sure a girl is educated in Nepal. There have been 53 scholarships awarded since its inception and I am sure we will support Sonnia Auntie’s legacy as more girls find opportunities through the BMKF scholarships and succeed in our chosen careers. I love to listen to stories of other people’s lives and learn something from them. Is it not motivating to see and know people around you do their best and perform better? Is it not different to know a person a little more closely from a complete new perspective? Is it not surprising and awesome at the same time to know that each of us in the BMKF family have something in common between us despite different backgrounds? Surprisingly at the end of this unforgettable day, it was not the Dwarika’s Hotel that was new to me, it was something else. It was some new people, and some old, yet knowing each of them from a completely different angle and light. Moreover, it was me who was new. I had been motivated to dream of a new dream to get into a top position of Nepal to do something for our country. It was an overwhelming day of happiness and joy. A day full of aspirations and inspirations. For all big things start with a dream, I saw a new me this time as I was reflecting upon myself. Everything is new each time you see it, I think it’s true. What do you think?